ONE OF THE MOST POPULAR PREMIUM HATCHBACKS ON THE MARKET, THE A3 DOMINATES OVER ITS RIVALS SUCH AS THE BMW 1 SERIES AND THE VOLVO C30. LARGELY DUE TO ITS ROOMY INTERIOR AND ITS CLASS LEADING BUILD QUALITY. ITS COMFORTABLE AND REFINED AND THANKS TO THE SUPERB 2.0 DIESEL ENGINE IN THIS CAR BALANCES POWER, 140 BHP, AND ECONOMY ACHIEVING UP TO 67 MPG. 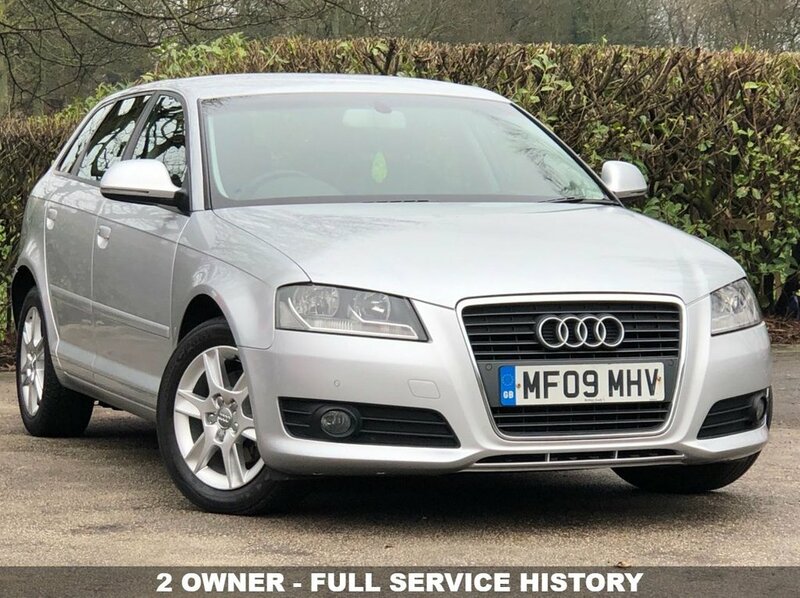 THIS 2 OWNER SE VERSION WE HAVE ON SALE IN IN FANTASTIC CONDITION INSIDE AND OUT AND HAS BEEN WELL MAINTAINED WITH FULL SERVICE HISTORY CONSISTING OF 8 SERVICE STAMPS THE LAST DONE AT 75160 MILES ON THE 02/03/2018 AND HAVING HAD THE CAMBELT DONE AT 37719 MILES ON THE 25/02/2014. EXTREMELY WELL EQUIPPED WITH SUCH FEATURES AS FULL LEATHER HEATED SEATS, CRUISE CONTROL AND CLIMATE CONTROL TO NAME A FEW. ONE OF THE SAFEST CARS ON THE ROAD THIS CAR WAS AWARDED TOP MARK AT EURO NCAP CRASH TEST RATING. INCLUDED IN THE PRICE, THIS CAR WILL COME WITH A FULL MOT + SERVICE + WARRANTY + 1 YEAR AA ROADSIDE ASSISTANCE.